The wife and husband team of Nancy and David Stone have long been recognized as pioneers of modern jewelry design since launching Nancy and David in 1980. By 1985 Nancy and David were awarded the coveted Jewelry Designer of the Year award, and they soon had a staff of forty and millions of dollars in sales to stores such as Saks Fifth Avenue, Neiman Marcus, I Magnin and Bonwit Teller. The impact of their early iconoclastic designs still ripples through the upscale jewelry market today, some thirty years later. To great extent, we let pictures do much of the talking. 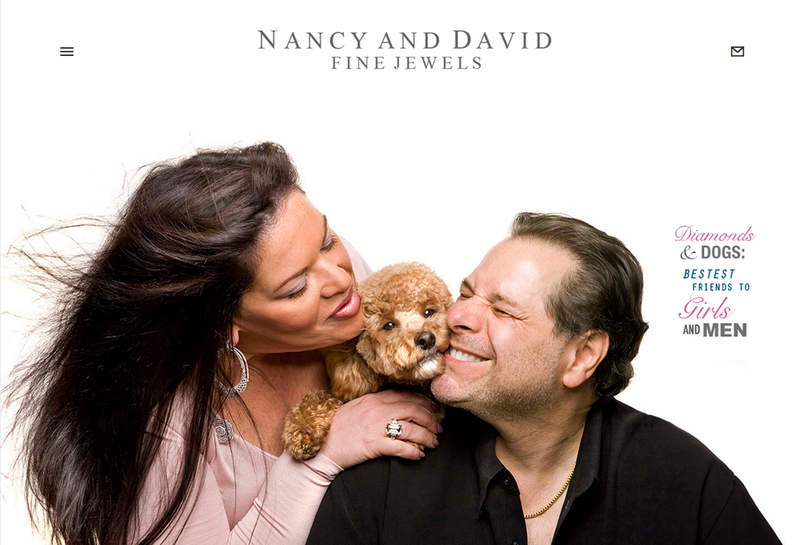 We put David and jewelry-clad Nancy (and pup Rico) front and center in humorous and endearing poses matched by witty headlines (after all, they and their very names are the brand, and their surname a copywriting godsend). We wanted their site to stand far apart from the clutter one finds at most jewelry websites, so we kept the presentation very minimalist with lots of white space. 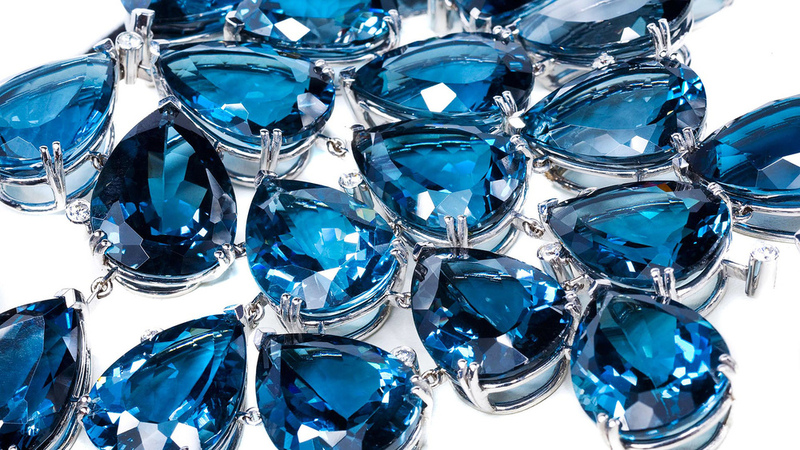 We photographed and showcased some of their best pieces costing upwards of a million dollars, while the large images and associated carat counts suggest the high quality of their jewels without us needing to belabor the point. The messages are direct, sincere, and sometimes metaphysical. At the bottom of their respective pages we see a very personal love letter written from the heart to one by the other. We quickly understand that Nancy and David Fine Jewels is a store where jewels are acquired in a civilized, unrushed environment over a glass of wine. Who would not want to buy from couple who still, after thirty years, write open love letters to each other but are honest enough to joke about strangling each other now and then. 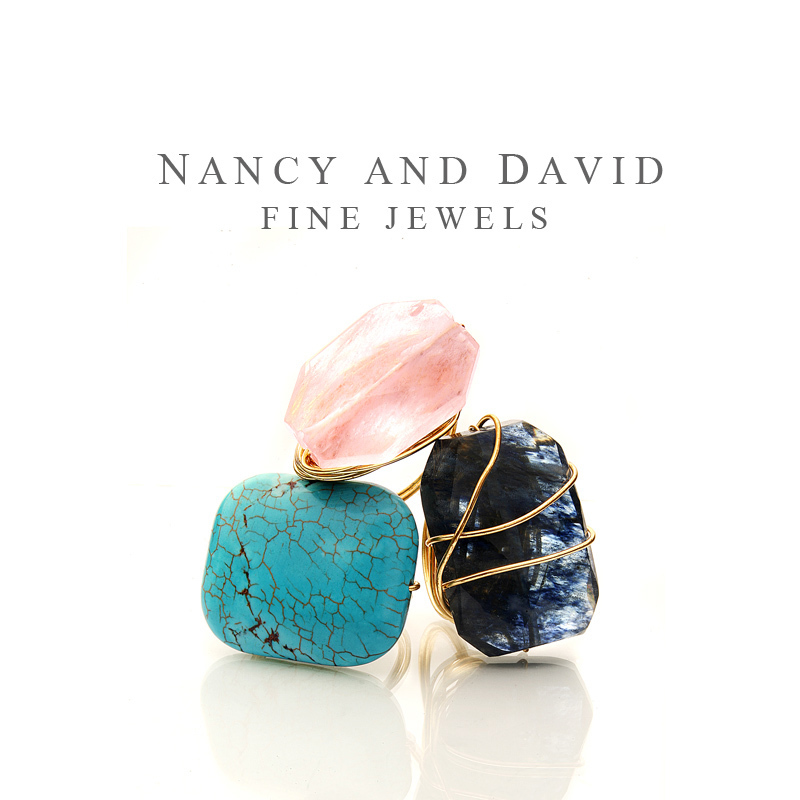 Nancy and David are fun, engaging, and have the common touch but at the same time they are serious gemstone connoisseurs. To our minds, all that transmits within seconds.